Have you ever taken in the vista from Iroquois Peak? Paddled up the Opalescent? Skied across frozen ponds near Fish Creek? Followed Don Mellor on an ice climb above Chapel Pond? 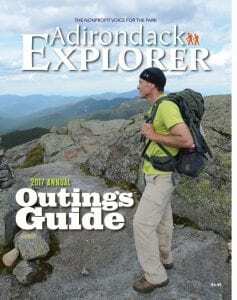 You can read about all those adventures and more in the forthcoming Adirondack Explorer’s Annual Outings Guide, an anthology of recreational stories from past issues of the magazine. 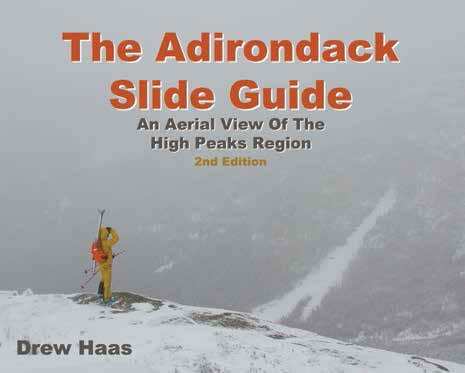 This year’s guide describes eight hikes, two canoe trips, four ski tours, one rock climb, and one ice climb. We think there’s something for everyone. 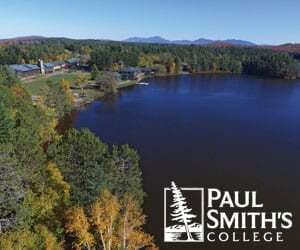 The hikes, for instance, range from a two-day trek up Mount Marcy to a two-hour jaunt around Cascade Lake in the Pigeon Lake Wilderness. But even if you don’t plan on repeating any of these trips, we hope you’ll like reading about them. 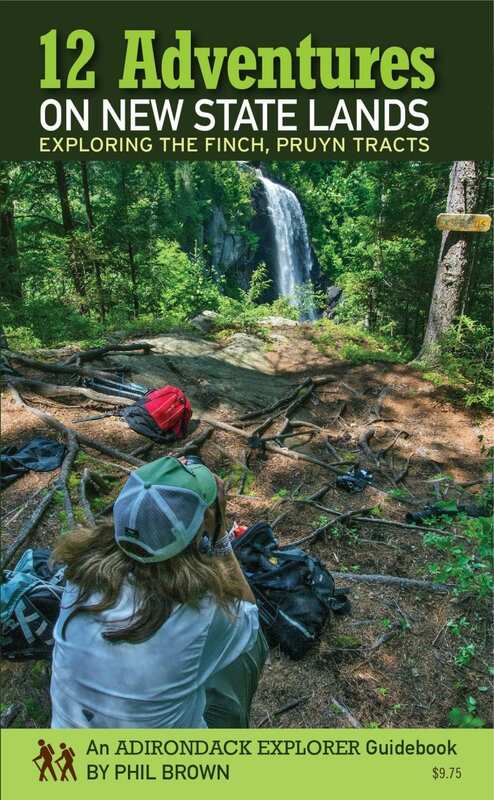 The cover shot was taken by Lisa Densmore Ballard, a prolific outdoors writer and photographer. It shows her husband, Jack Ballard, near the summit of Marcy. Lisa, by the way, grew up in Saranac Lake but now lives in Montana. She returns to the Adirondacks a few times a year. 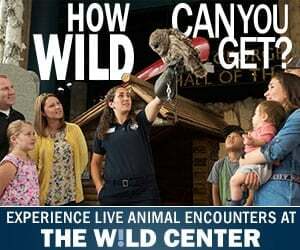 If you’re an Explorer subscriber, you should get the outings guide around June 1. If you’re not a subscriber, click here to start a subscription.